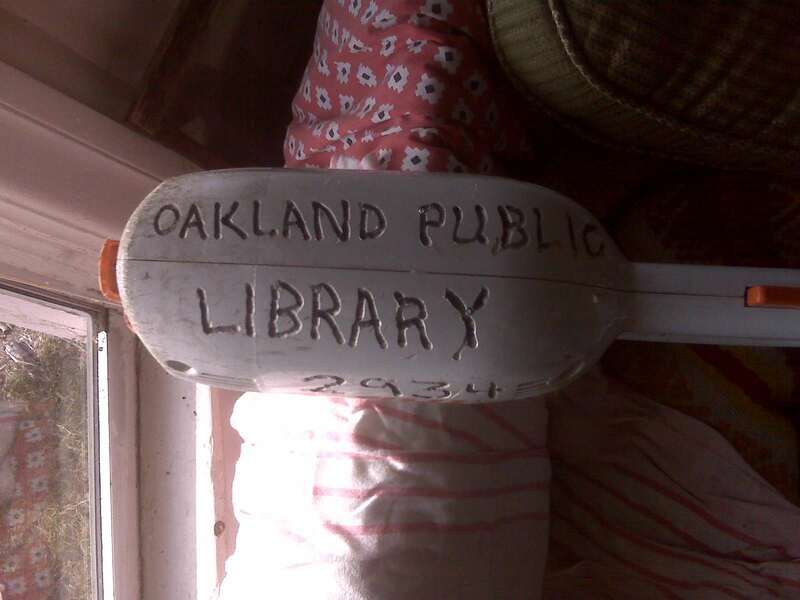 This entry was posted in urban life and tagged oakland tool lending library. Bookmark the permalink. Wait a sec… Did I miss a post sometime? The lot was sold? When did that happen? What’s the outlook short & long term? If you’ve already posted about this, just send me the link. The Berkeley Public Library also has a lending library. Tue, Sat 10 a.m. – 5:30 p.m.
Wed-Thu 12 p.m. – 7:30 p.m.
Fri 1 p.m. – 5:30 p.m. Very cool, and very civilized, I might add. OMGosh I so hope NO condos or building goes in. In fact I would like to see tax breaks given to any land owner who leaves vacant land vacant. Here in rural CA there is the Williamson (?) Act where you can get a break if the land is left alone or only used for cattle, horse grazing etc. I hella heart the TLL! Ty and his crew are friendly, knowledgeable, and have saved my hide way too many times. One of the jewels of Oakland in my book! tool lending library, what a fantastic idea! i’m going to pitch it to our town hall. we all garden here and could save tons this way. btw, i went to get my machete two days ago and it was gone, someone stole it out of the chicken house (they also have been stealing eggs). how funny that we were looking for our machetes at the same time. who would have thought? I feel your pain. The zoning officer in my town just paid me a visit to ask me to clean up my “mess” on the side of my house. I was stumped. There’s a mess there? Apparently there was, and neighbors wanted it attended to. So I did. Identifying and dealing with messes is not my strong point, though. minor catastrophes you wrote that the zoning officer in my town just paid me a visit to ask me to clean up my “mess” on the side of my house. I was stumped. There’s a mess there? Apparently there was, and neighbors wanted it attended to. So I did. Identifying and dealing with messes is not my strong point, though. Am always curious what the word ‘mess’ means to zoning officers. I am serious. A few years ago I had a friend with me and we were driving down an area here in the Sierras where I live and she looked at a pile of firewood someone had and asked why anyone would allow a mess like that. Bear in mind she doesnt live here but has a vacation home. She had no idea that a load of firewood ready to be stacked is NOT a mess.